Nearly 2000 years ago, Greeks used water wheels to grind wheat into flour; this is the beginning of hydropower. In the 1700s, hydropower was used all over for milling of lumber and grain, as well as for pumping irrigation water. Appleton, Wisconsin became the first operational hydroelectric generating station in the United States in 1882, producing 12.5 kW of power. The total electrical capacity generated was equivalent to the power used by 250 lights. Within the next 20 years, approximately 300 hydroelectric plants were operational worldwide. The invention of the hydraulic reaction turbine created the sudden expansion of hydropower. 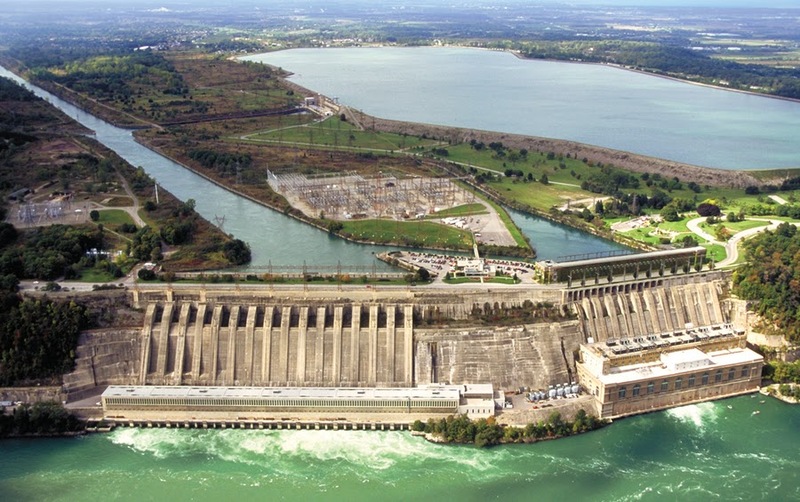 By the early 1900s, 40% of the US’s electricity was provided by hydro. The largest and last masonry dam built by the US Bureau of Reclamation was the Roosevelt Dam in Arizona between 1905 and 1911; its power has since increased from 4,500 kW to 36,000 kW. In 1933, the Tennessee Valley Authority Act was enacted into law. In 1937, the Hoover Dam first began generating power, producing 130 MW. By the 1940s, hydroelectric power supplied roughly 75% of the electricity used in the western United States and approximately one-third of the United States’ total electrical energy. 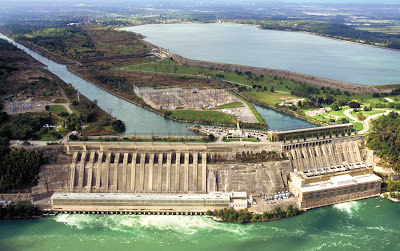 However, by 1997, around 10% of the United States’ electricity came from hydroelectric power.